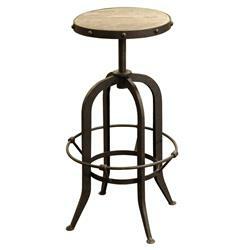 If rustic industrial style is your thing, pull up a seat. This seat! With a reclaimed elm seat and classically curved legs, this beauty has an earthy charm that works with casual ease into stylish places.